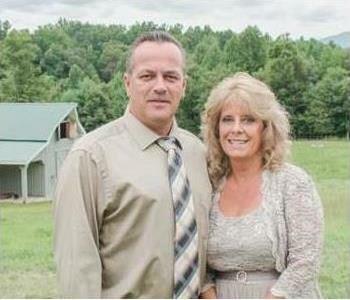 Earl & Edith Clarke are the owners of both SERVPRO of Charlottesville and SERVPRO of Lynchburg/ Bedford & Campbell Counties. In addition to owning and managing 2 franchises, Earl and Edith have their hands full with 5 daughters and 3 grandchildren. Earl Clarke - Owner of SERVPRO of Charlottesville as well as SERVPRO of Lynchburg/ Bedford & Campbell Counties has received a Special Award from IICRC Board of Directors for being recognized as a Master Textile Cleaner. This award is given for having completed the highest level of Certification through Continuing Education and meeting the requirements of IICRC. Ryan Mitchell is a Production Manager here at SERVPRO of Charlottesville. He joined our Charlottesville crew on October 24th of 2016 having no experience in our industry. Since then Ryan has quickly grasped the knowledge of the industry through hands on training as well as outsourced training (corporate and IICRC). Ryan enjoys being able to provide comfort for customers who have been affected by a loss and we always receive compliments from our customers about how great of a communicator Ryan is throughout the entire process. On the 5th of October 2017, Ryan Mitchell attended a Lead Renovation class here in Charlottesville. 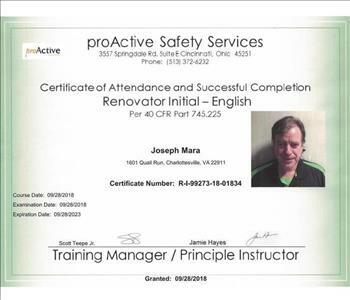 The class was followed by an exam of which he scored 100% and is now an EPA Certified Renovator! 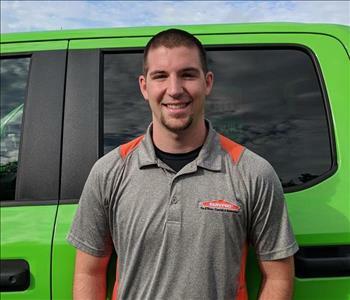 Before Evan became a Production Manager here in Charlottesville, he was a Crew Chief at SERVPRO of Lynchburg. We appreciate having his leadership and expertise on our team. He’s using his past experience in restoration and construction to help the people of Southwestern Virginia when disaster may strike. In his free time Evan enjoys writing, cooking, and building. Larry Burton is a Technician here at SERVPRO of Charlottesville. He has been in the Fire & Water Restoration Industry for 15 years and has been a great resource for newbies. During his 15 years, Larry, has aided in the restoring/repairing of homes and businesses after major catastrophes such as Hurricane Katrina, Hurricane Sandy, flooding in Wisconsin, and even a wide spread fire in California. As of the 21st of November 2017, Larry Burton, in addition to all of his other certifications, is now EPA Certified! Great job Larry! Keep up the good work continuing your wealth of knowledge in our industry! 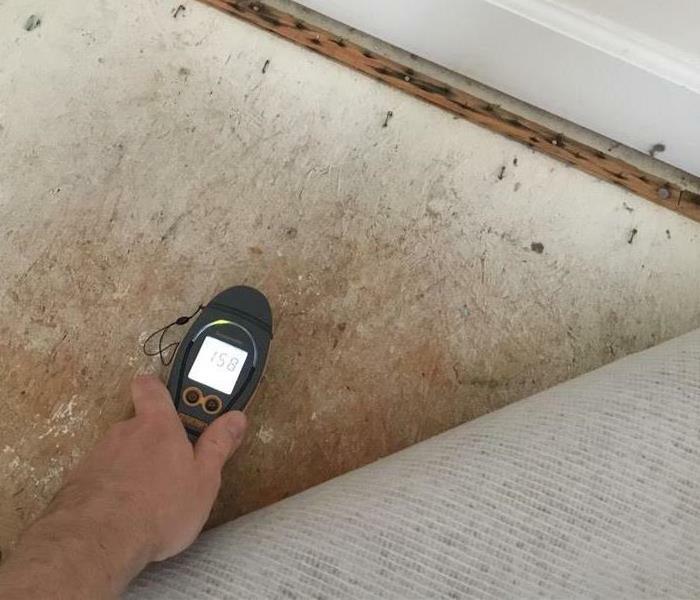 Joe Mara is a Technician here at SERVPRO of Charlottesville. He has been in the Carpet Cleaning Industry for 35 years and joined our Charlottesville crew on July 2nd of 2015. Along with Joe's wealth of knowledge that he enjoys sharing with his co-workers, he is also a jokester providing comedy on a regular basis. 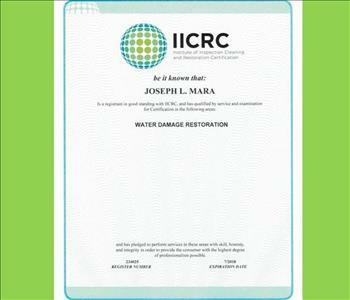 Joe is certified by IICRC for Water Damage Restoration. 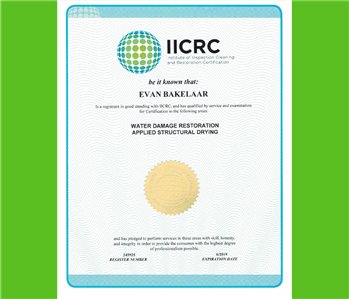 By completing this course, Joe has received the necessary training to be able to properly remediate a home that has been affected by water. 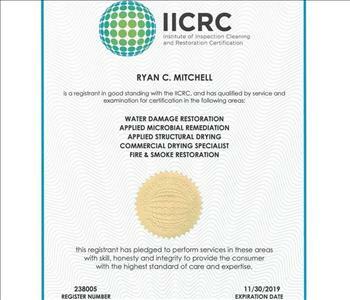 When becoming certified by IICRC, you also pledge to perform those services with skill, honest, and integrity in order to provide the consumer with the highest degree of professionalism possible. Along with several of our other crew members, Joe is now EPA Certified! That means that if lead is found when mitigating Fire or Water damage, Joe has the knowledge to continue restoring the structure safely. A native to the Charlottesville area, Chris came to us from the auto industry. After spending time detailing cars, he has developed patience and a keen eye for detail. He likes the hands-on nature of his work and that at SERVPRO no two days are ever the same. While he is not at work, Chris can often be found lifting weights, but he also loves having time to himself and reading Stephen King. 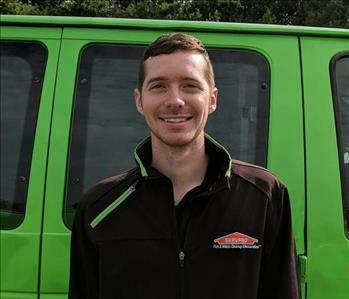 Samuel is our newest member here at SERVPRO of Charlottesville. 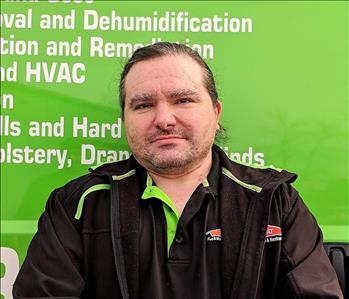 Samuel brings a lot of energy, enthusiasm, and goofiness to our team and he says he is excited to learn more about what it means to be a SERVPRO production team member. Krystina is our Office Manager here at SERVPRO of Charlottesville. 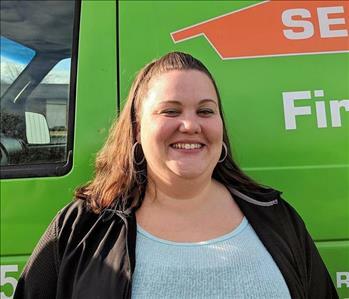 Prior to joining our team on June 1st of 2015, she worked at SERVPRO of Lynchburg as a technician for 5 years. Having both office and production experience with SERVPRO has helped her in keeping the two running together smoothly. During Krystina's time working as a technician for SERVPRO of Lynchburg she became IICRC Water Restoration Certified. Amy is our Accounting & HR Administrator here at SERVPRO of Charlottesville and has been with us since June 1st of 2015. Her willingness to do whatever is necessary, regardless of it being in her job title, along with taking ownership of what she does makes her an exceptionally valuable member of our team. Adahlia is the brains behind the logistics of our operations. Before joining our team, she spent four and a half years in multi-family housing as an assistant property manager. The organization and people skills that she developed in this position have served her well as a part of the SERVPRO family and we are so grateful to have her. Adahlia loves a challenge. She is always up for trying and learning new things. She has quickly picked up a lot of industry-specific technical knowledge and continues to learn and grow in this familiarity so that she can better serve our customers. When not at work, Adahlia enjoys spending time with her husband and children and attending or watching sporting events. Nan is a familiar face in the Charlottesville area as previous owner of Coleman Creasy Insurance on Pantops in Charlottesville. 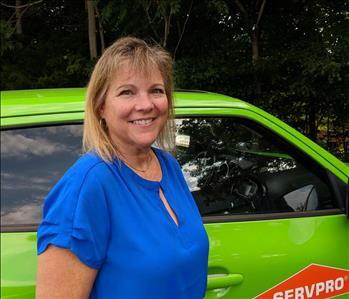 As a part of her role on our team here at SERVPRO of Charlottesville, Nan is focused on meeting our clients face-to-face and being present at events and locations around the city. She’ll be building relationships and will be open and available to answer questions. On her off time, Nan enjoys ghost hunting and travels all over the world, seeking out new haunted places. Be sure to ask her about her latest venture when you see her around town. Meet Koa, our office puppy. Koa is a Bernedoodle which is a mix between a Bernese Mountain Dog and a Poodle. He brings a lot of joy and laughter to our office and loves to greet people. Stop by if you want to meet him in person (pictures just do not compare to how adorable he is in person). He will also make an appearance at events!